Are you looking for the perfect vacation spot? Amsterdam is the one of the most visited cities in all of Europe. Well known for its nightlife and unique combination of the historic and modern, Amsterdam also has a darker side. 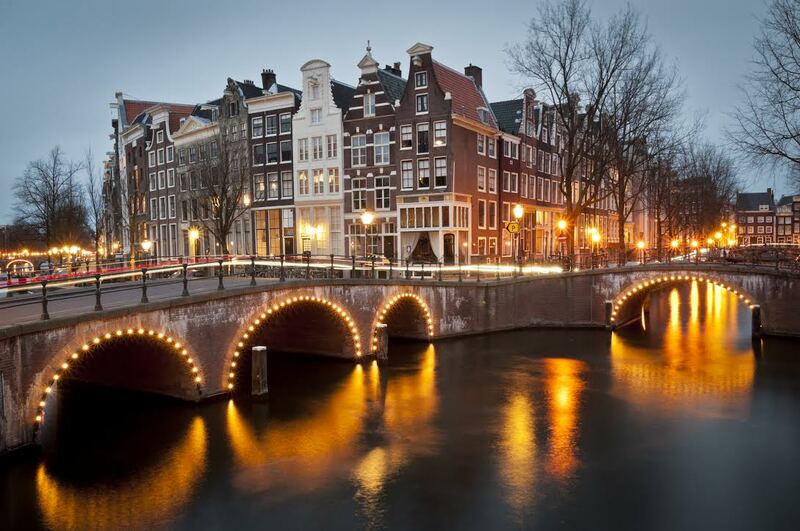 Steeped in history, Amsterdam is said to have more than a few ghosts haunting its streets. But don’t tell the city’s inhabitants that. The Dutch think themselves too rational to believe in ghosts, but you and I know better, right? If you would love nothing more than to explore the spooky side of Amsterdam, consider your wish granted. AESU’s Discount Amsterdam Vacations can help make your spooky dreams into spooky reality. Click Here to find a trip that is right for you. Halloween is fast approaching. So AESU, the most trusted name is travel, is celebrating the best way we know how: by highlighting the creepiest, crawliest, and spookiest attractions from around the world. So far we have explored the scary side of Scotland, Budapest, and Venice. This week we are going to journey through the streets of Amsterdam. The Museum of Medieval Torture Instruments, located just a few steps from the Central Station, features more than 100 artifacts: real tools and authentic torture machines, like the Iron Maiden, the Spanish Boot, and the Guillotine. The center of Amsterdam, Dam Square has one of the darkest histories of the entire city. Once the location of hangings, beheadings, and witch burnings, the square saw more than 16,000 killed during the Spanish Inquisition alone. In 1945, after the German occupation of the Netherlands ended, crowds gathered in Dam Square to celebrate. Witnessing the scene, regressing German troops opened fire on the crowd, killing 20 and wounding and 119 more. The Amsterdam Dungeon is a must-see attraction in Amsterdam. This 80-minute horror theater show is advertised as “bringing to life 500 years of the Dutch dark history.” While walking through the dungeon, you will experience short performances accompanied by sound, smell and light effects. It’s not every day you get to see human skulls hanging up for the world to see, but that is exactly what you get at the entrance to the Zuiderkerk graveyard. The skulls, which belong to former criminals that were publicly hanged, are said to act as a warning. If you have a fascination with ghosts, ghouls, and all things paranormal, then Amsterdam is the city for you. AESU offers unique, exciting travel programs for college students and young professionals at affordable rates. Each trip is action-packed and informal—designed just for people your own age. We offer several tours that visit Amsterdam, including Euro Focus, Great Escape, Euro Spree, and Live In…Concert Tours. Dying for more creepy, crawly, and spooky attractions? Check back next week! Want help booking one of our Discount Amsterdam Vacations? Please contact AESU by calling 800-638-7640 or fill out the contact form found on our website. And don’t forget to check out all of our great Travel Tips, especially the Travel Tips for Europe, before you head overseas. Book your tour before October 31st and save up to $300! This entry was posted on Thursday, October 23rd, 2014	at 5:48 pm	. You can follow any responses to this entry through the RSS 2.0	feed. Both comments and pings are currently closed.